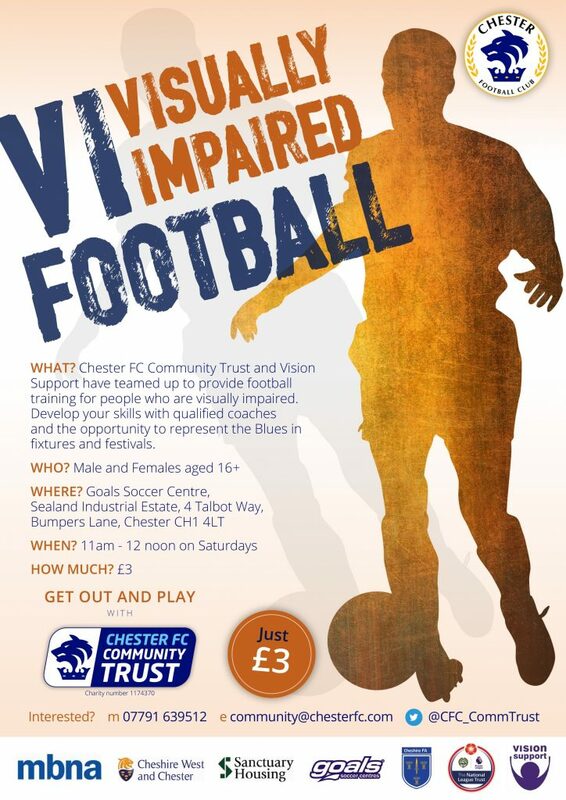 Chester FC VI Football provides regular football training for males and females aged 16 and over who have a visual impairment. Participants will develop their skills with qualified coaches with the use of specialist equipment and there are opportunities to represent the Blues in fixtures and festivals. Sessions run from 11am to 12 noon on Saturdays at Goals Chester and cost just £3 per week. Chester FC Community Trust is proud to partner with Vision Support, a Chester-based charity committed to enhancing the quality of life, promoting the continuing independence and raising awareness of vision impaired people of all ages.